Determine the perfect audience. Is it a members only conference? Or is it an open public conference event? 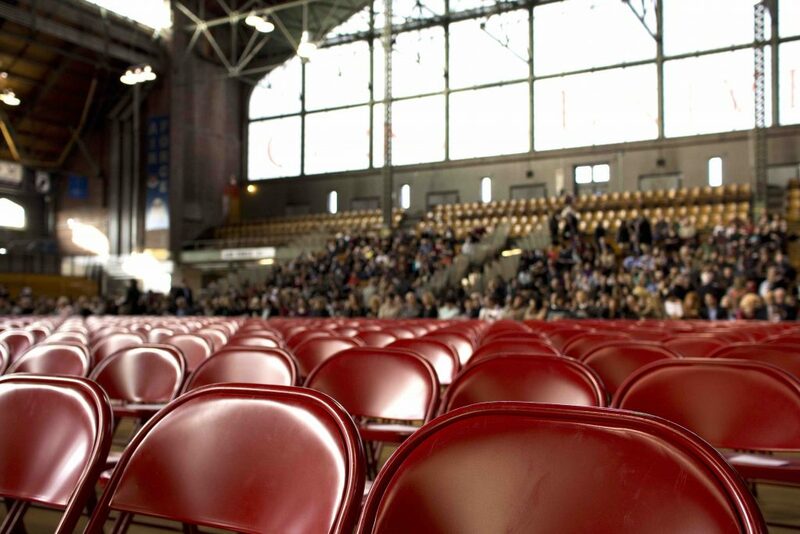 Ensure you have the right audience for the right conference. Set a budget Estimate your expenses and confirm you have enough money for the things you need. Attract major speakers or presenters Consider someone who will mingle with crowd, not dash in and dash out. Publicize the conference event. Facebook it, Tweet it, email it or send it in the post. Whatever platform you use (if not all), do it well and keep it consistent. Include a monthly countdown. Prepare for the worst No event is perfect no matter how much you plan. Maintain strong communication with your team and don’t let anything fall through the gaps. Meet and greet your guests. Wear a smile and treat each guest like a celebrity. Make them feel welcome and create a strong first impression. Parking. Reserving car parking is small compliment that will make a huge difference to the event. Even better send out a map of the area and venue. Choose a theme This is not always an easy task. However once you have decided, remember the way the theme is carried out is far more important than the actual theme itself. Create a detailed running sheet. This document ensures the night runs on time and in a smooth manner. Keep it in hands reach at all times. Evaluate your conference event. Get guests to fill out a short survey whether this be online or on paper. The feedback will help for a bigger and better event next year. This entry was posted in Conference, Corporate Events and tagged Conference, corporate entertainment, Corporate Events.